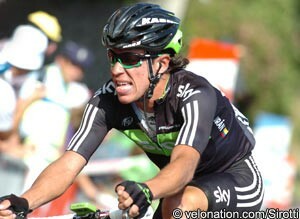 Could team bring about second wave of successful Colombian riders? Almost three full decades after Colombian riders started their eighties blitz on the Tour de France, beginning a time when riders such as Lucho Herrera and Fabio Parra were amongst the most feared climbers in the sport, the country has moved a step closer to fielding another team in Grand Tours. The roster of the Colombia-Coldeportes team has been unveiled and includes a lineup comprised completely of riders from that country. The team is confirmed as a Pro Continental outfit, and will now begin pushing for wildcard invitations to some of the top races in the sport. A total of sixteen riders have been confirmed for the team, with this number including former Tour de France yellow jersey wearer Victor Hugo Peña and the 2008 under 23 world road race champion Fabio Duarte. The latter is regarded as one of the most talented of the country’s young riders and is moving across after a year with the Geox-TMC team. Following on from his world title, he had a standout 2010 season where he won a stage and took second overall in the Vuelta Ciclista Asturias, picked up a stage and the overall classification in the Circuito Montañés and clocked up two stage wins in his country’s national tour. This season was complicated by a crash which took him out of the Giro, plus a subsequent two months of knee problems. However the 25 year old provided further evidence of his ability, winning stage three of the Giro del Trentino and taking second in both the GP di Lugano and on stage five of the Giro d’Italia. He rode well in the Vuelta a España, finishing a solid 39th overall after riding for his team-leader and eventual race winner Juan Jose Cobo. He was a solid twelfth on the Angliru stage and also placed twelfth in both the Coppa Sabatini and the Giro dell’Emilia. Duarte will now race under the guidance of former Saeco and Barloworld general manager Claudio Corti next season, competing alongside many other climbers from his country. 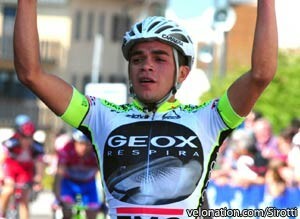 Another gifted young rider on the team is this year’s Tour de l’Avenir winner, Esteban Chávez. Still just 21 years of age, he is several years off his peak but appears to have the ability to thrive in the pro ranks. The team has today corrected recent press reports, stating that Claudio Corti’s son Marco will not compete with the team in 2012. He raced as part of the Geox-TMC team this season, but won’t follow Duarte across. Instead, the roster has been completed by the Colombian Michael Rodriguez Galindo, bringing the number up to sixteen riders. The Colombia Coldeportes team confirmed to VeloNation at the end of October that it intended pushing for invites from the Grand Tour organisers. It remains to be seen if this will be achieved in 2012, but their chances may be enhanced by the memories of what the Café de Colombia team achieved three decades ago. During the 1980s the top Colombian riders were amongst the strongest in the Tour de France and other races, with Lucho Herrera winning stages and the King of the Mountains classification in the Tour, Vuelta and Giro, as well as two Dauphiné Libéré titles, Fabio Parra finishing second overall in the Vuelta a España, and other riders also shining. Colombians have continued to have a presence in the big races in the years since, albeit in a less flamboyant fashion. Riders such as Santiago Botero and 2007 Tour de France king of the mountains Maurico Soler have kept the country on the podium in the Tour, although the former has retired and the latter’s career looks in some doubt after an unfortunate crash in this year’s Tour de Suisse. In 2010 an unenviable statistic occurred when, for the first time in 27 years, there was no competitor from there in the Tour de France. However Rigoberto Uran (Sky Procycling) and Leonardo Duque (Cofidis) ensured the country returned to the race this year, with Uran leading the best young rider classification for several days. 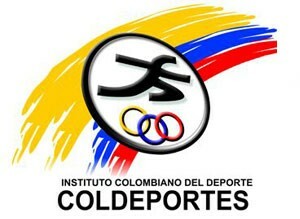 Now, depending on how things develop with the Colombia Coldeportes team, the country could be set for a new wave of big results in 2012 and beyond. It's far too soon to say if the heights of the eighties can be reached again, but having an ambitious Pro Continental squad in the peloton will provide a platform for Colombia's young climbers to succeed.